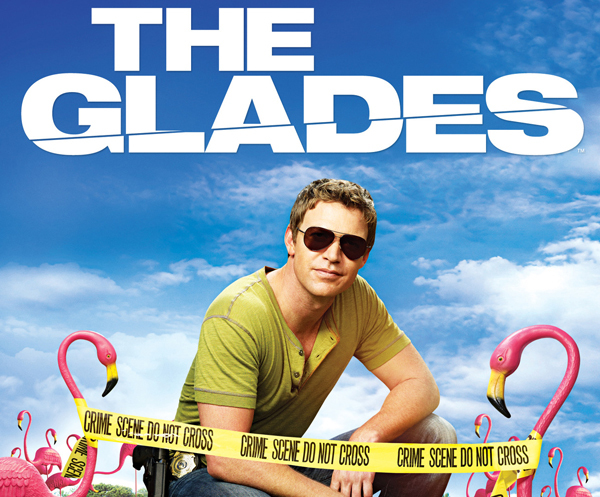 The Glades is a crime drama television series, created by Clifton Campbell, that aired on the A&E network for four seasons from July 11, 2010, to August 26, 2013. The police procedural show starred Matt Passmore as Jim Longworth, a Chicago police detective who becomes a state police detective in a Florida Everglades community. He leaves the Chicago Police Department after being shot in the buttocks by his captain, who thought Jim was sleeping with his wife. He receives a large settlement from the city of Chicago and settles in Florida for the golf and what he believes will be an easy life. However, Longworth soon discovers that his new hometown is more complex than meets the eye. A&E canceled the series after its season-four finale, effectively ending the series on a cliffhanger.